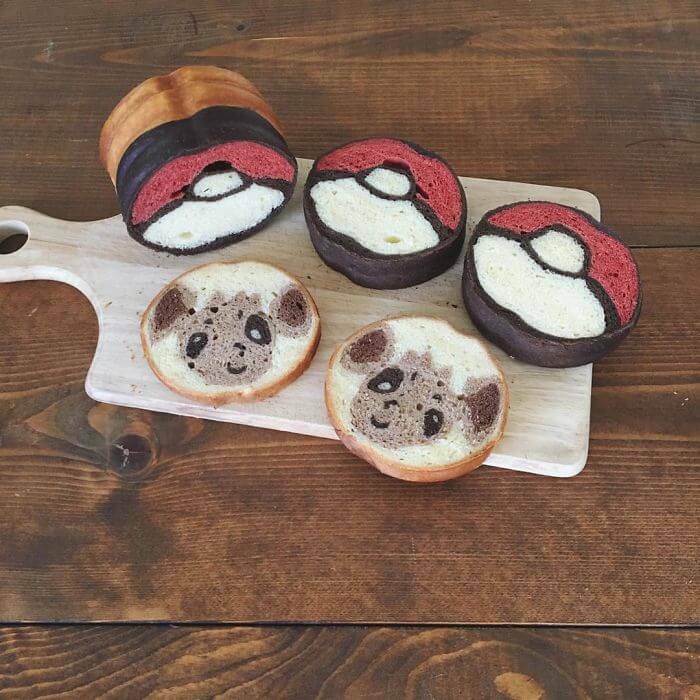 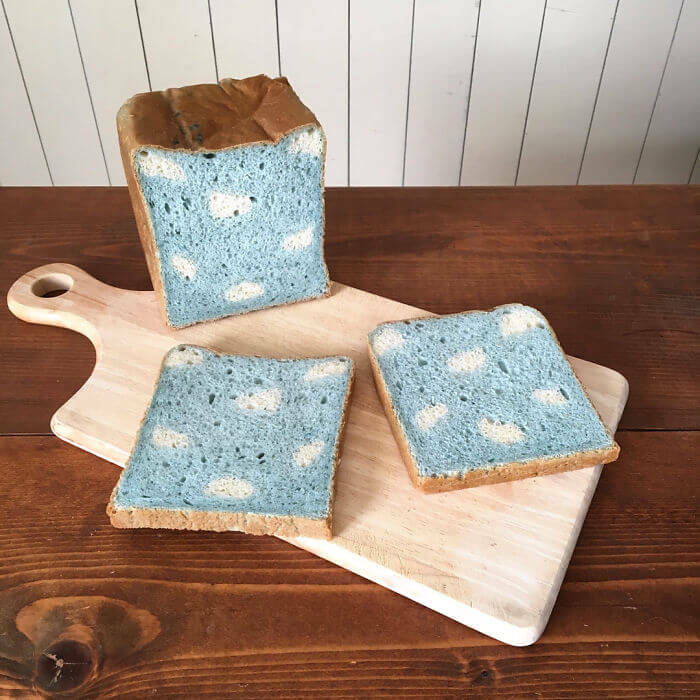 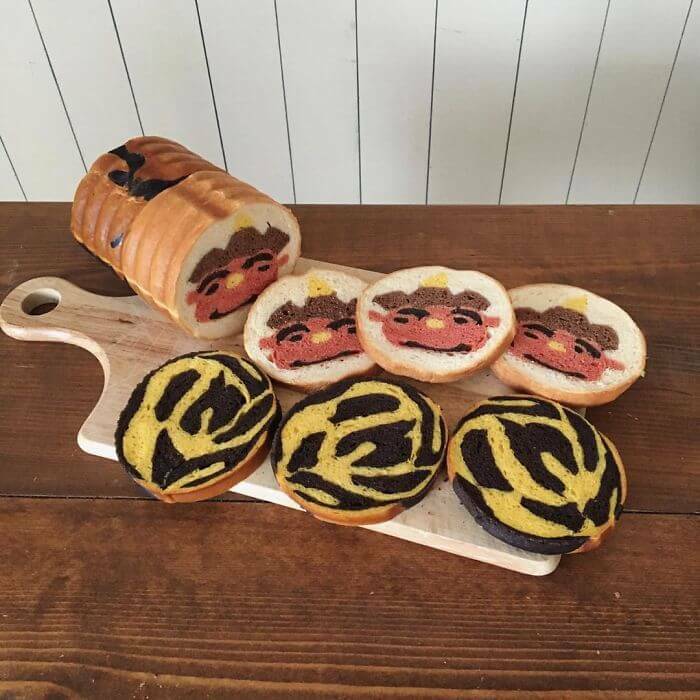 Creative bakery seems to have no limits especially when it comes to artists from Japan. 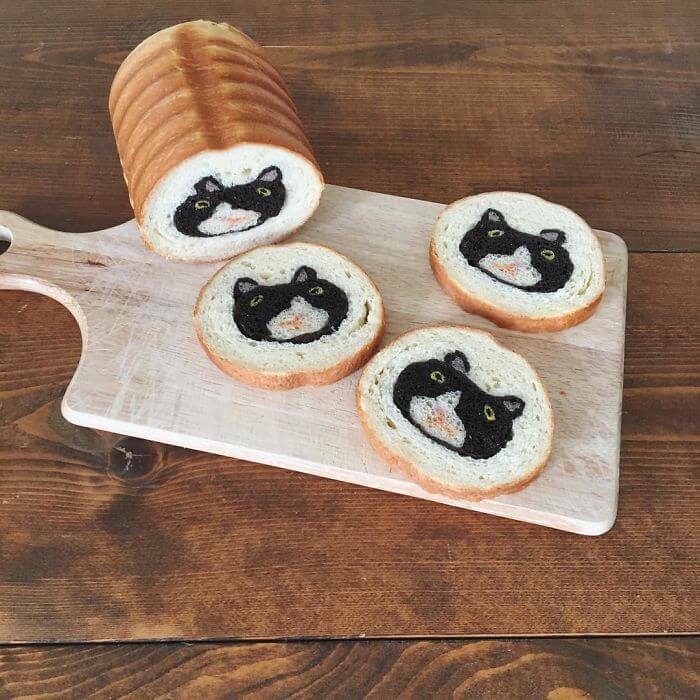 Remember when we wrote last time about this cat shaped bread that everyone loved? 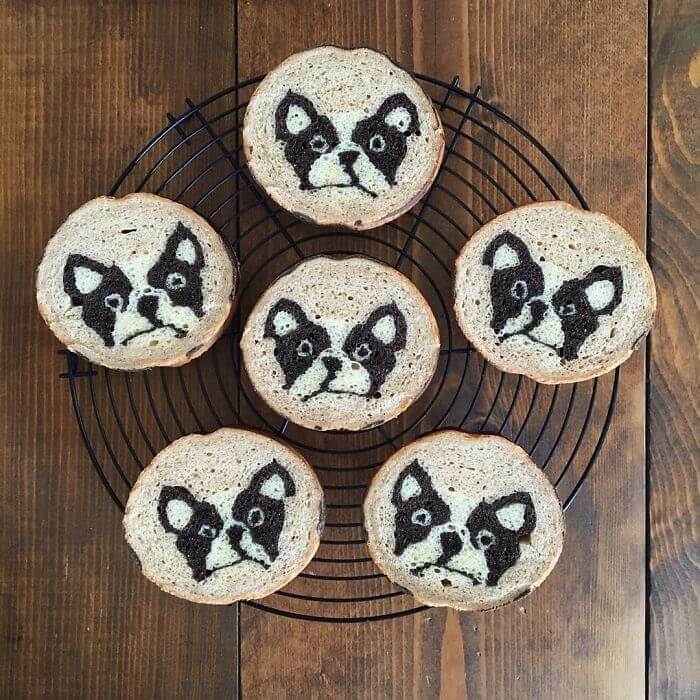 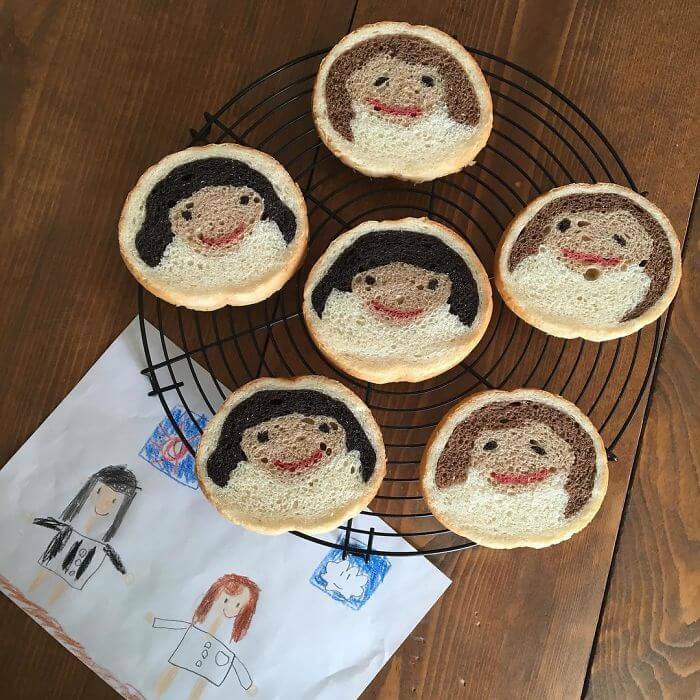 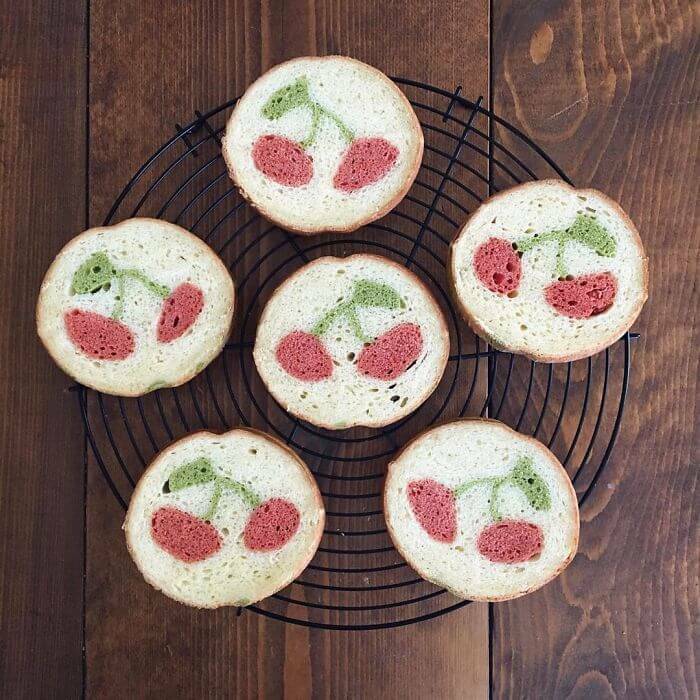 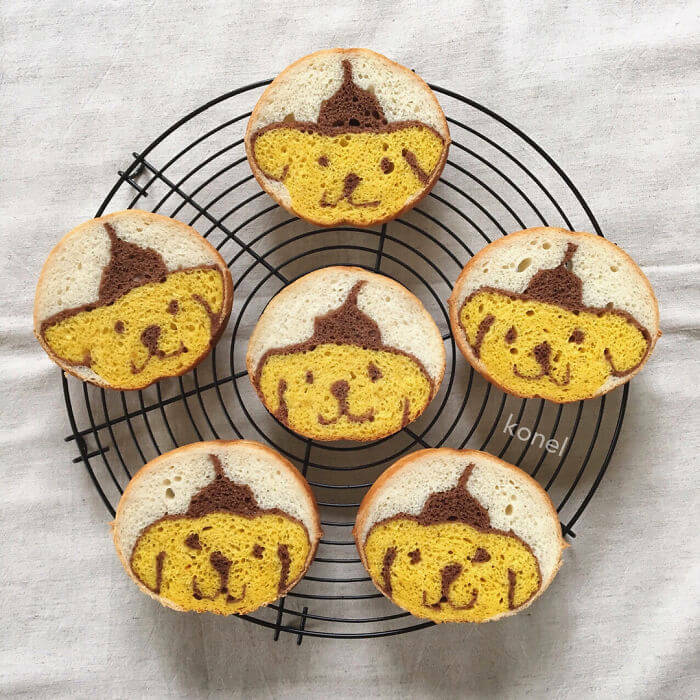 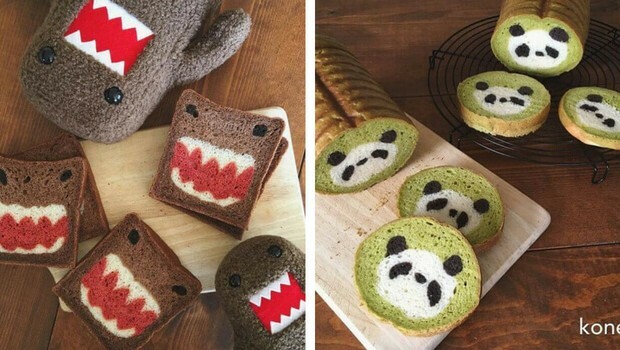 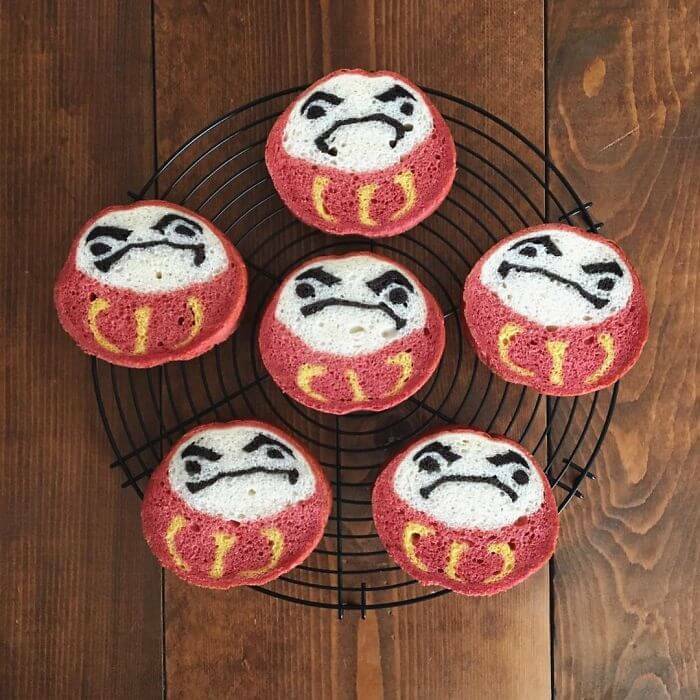 One more time we present you creative bakery works of one Japanese mom whose skills and inspiration are really impressive. 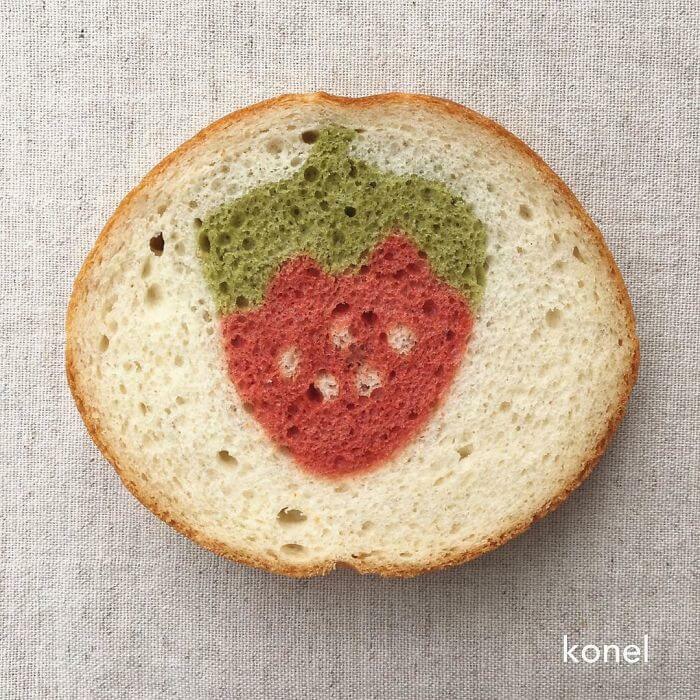 Ran runs Tokio-based bakery under the name Konel Bread. 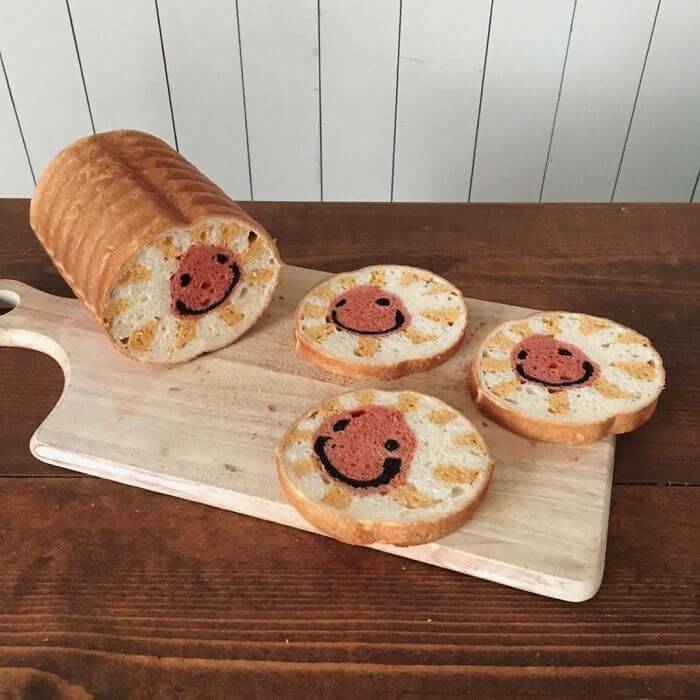 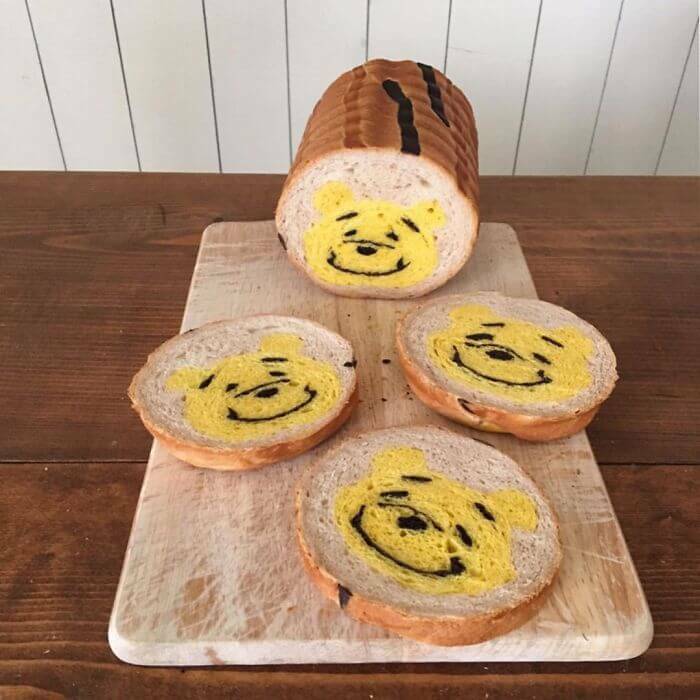 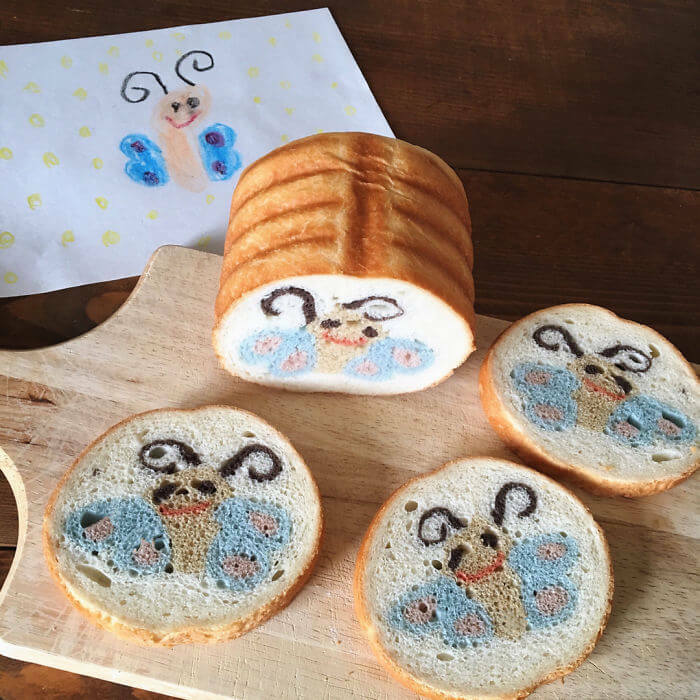 As you can see in the photos in the gallery, amazing loaves that she bakes hide surprising and fun images that no one leaves indifferent. 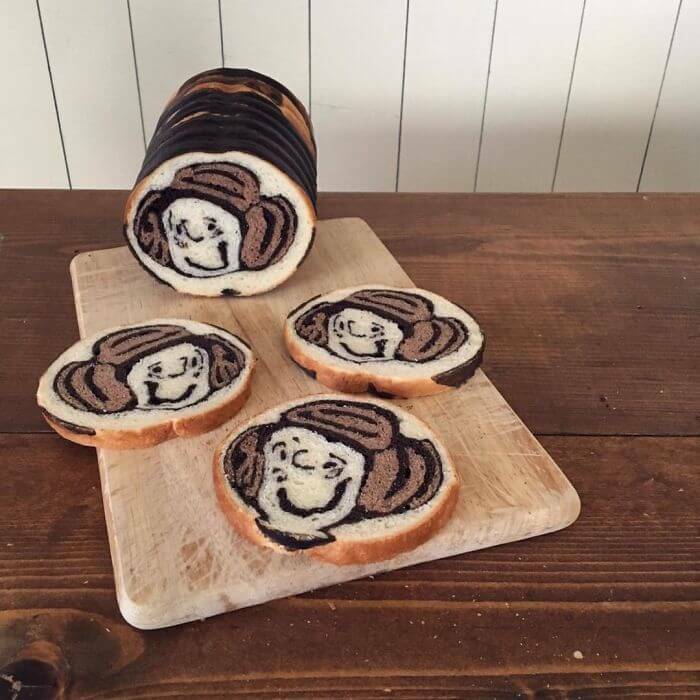 Especially thrilled to consume her bread are kids, of course, and it’s no wonder because the main inspiration for the art hiding in loaves are her son’s drawings and characters he likes to watch on TV. 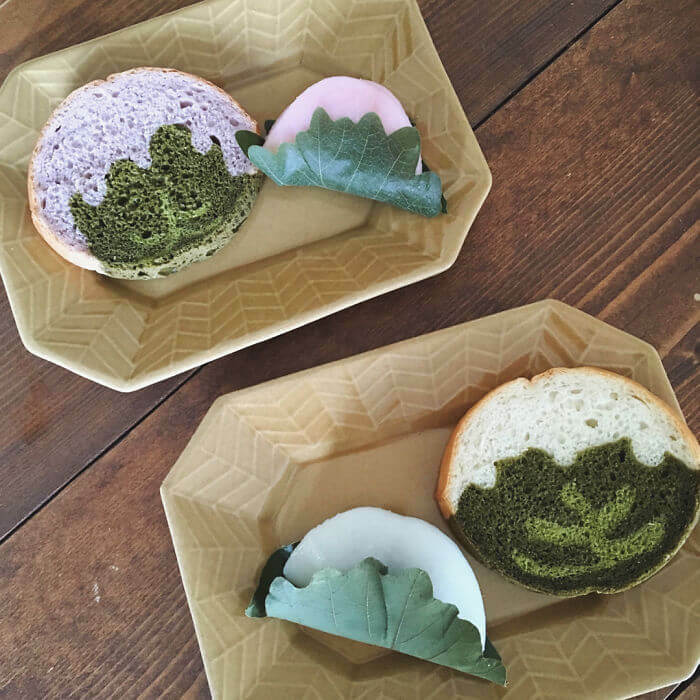 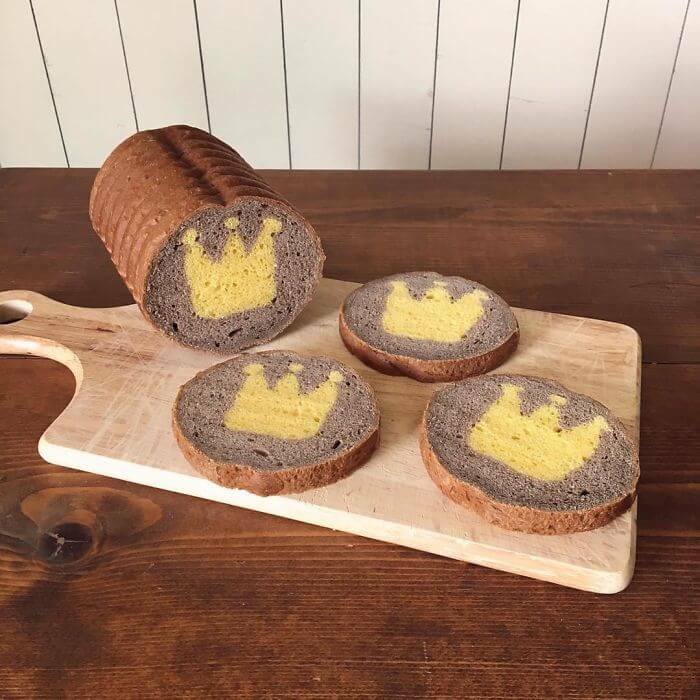 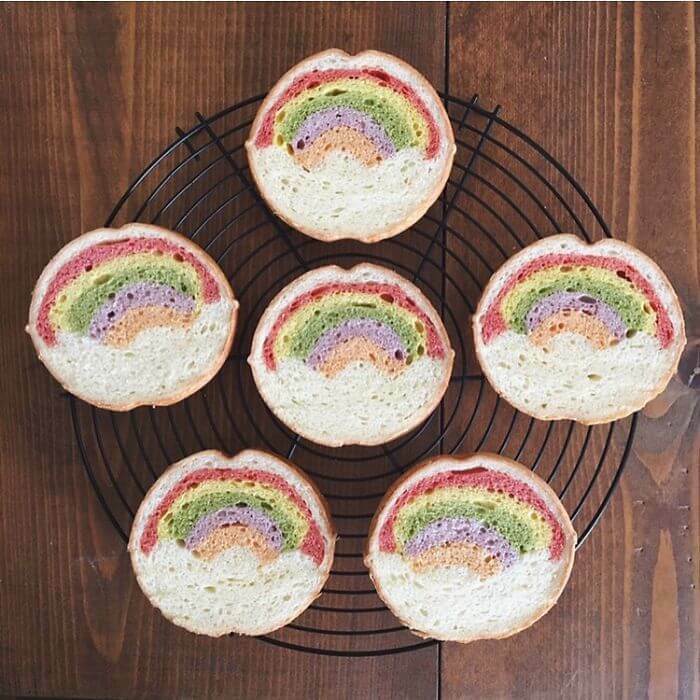 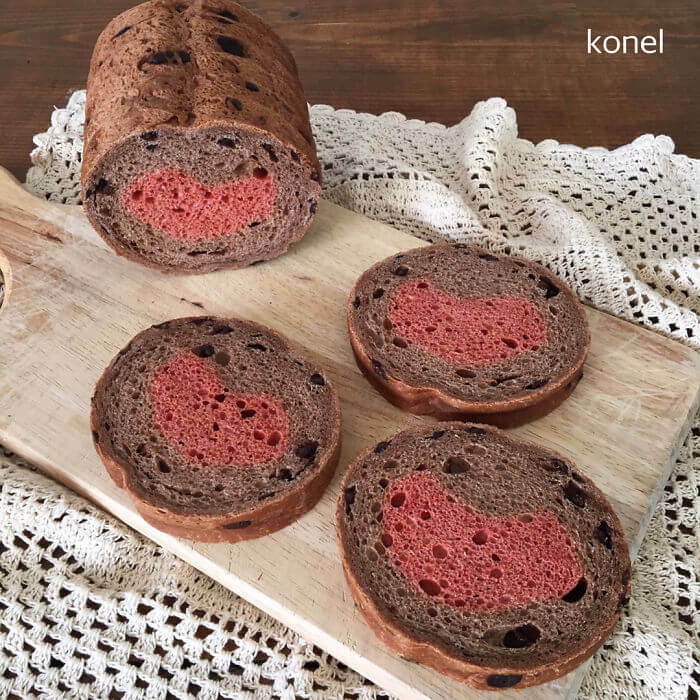 The most important part of this bakery magic that Ran is making is that her loaves are healthy and made of natural ingredients; natural flavors and colors, such as spinach, cocoa, and beetroot. 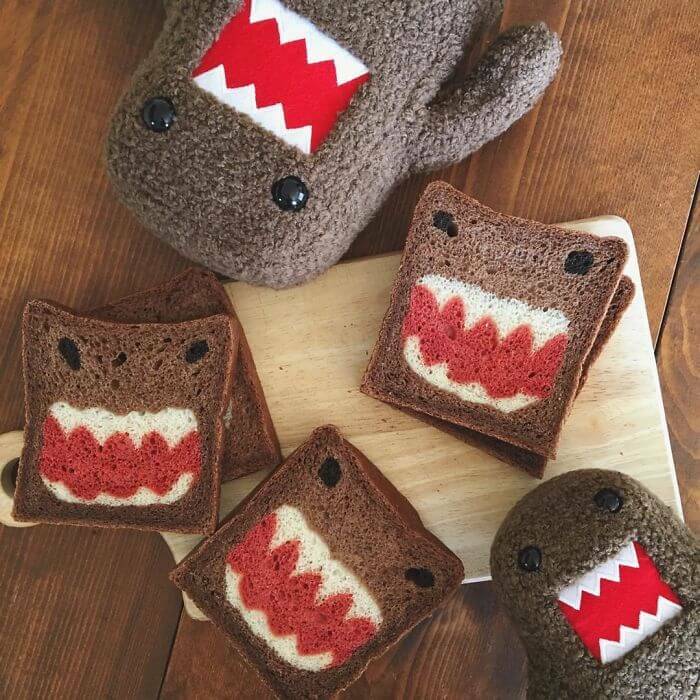 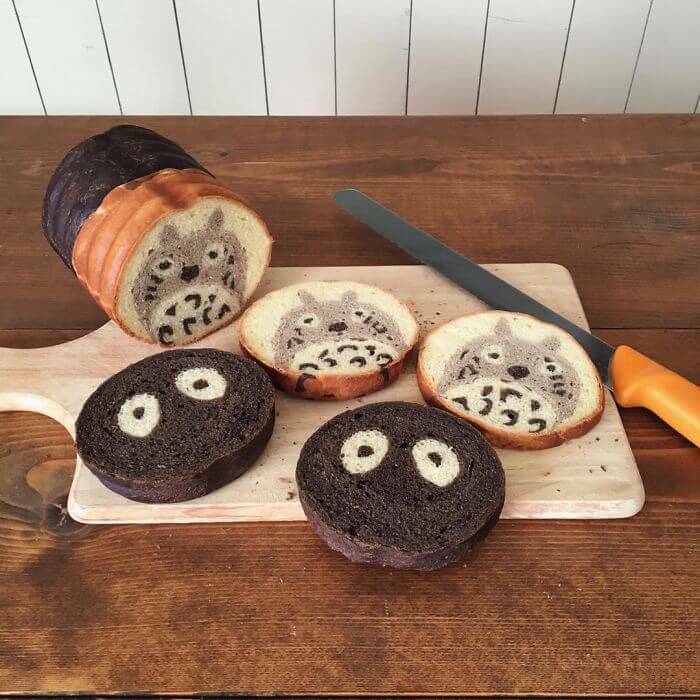 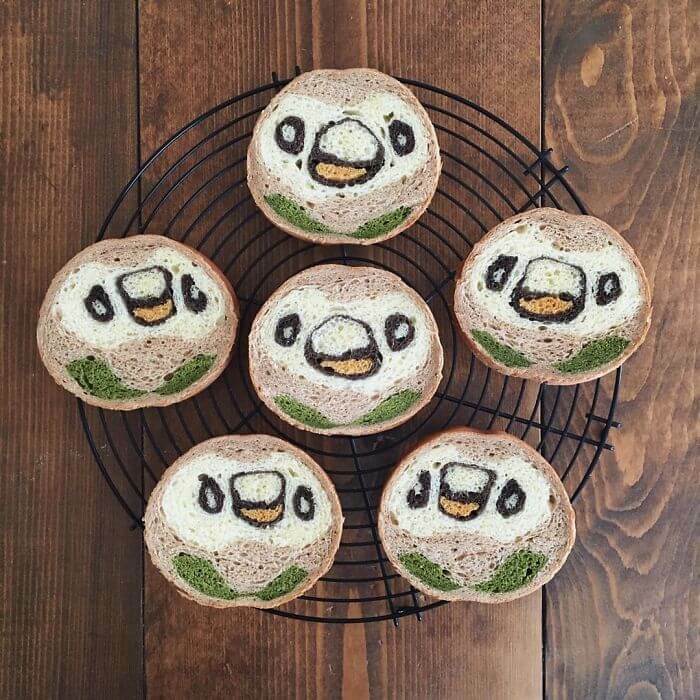 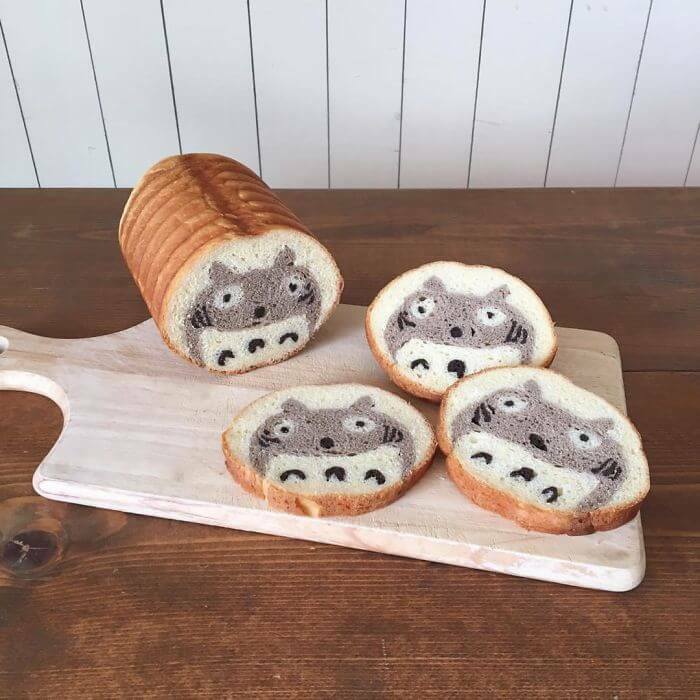 So, when you see Totoro looking at you from the inside of the bread, you can be sure its image is painted using cocoa, probably, or some other natural ingredient that resembles needed color. 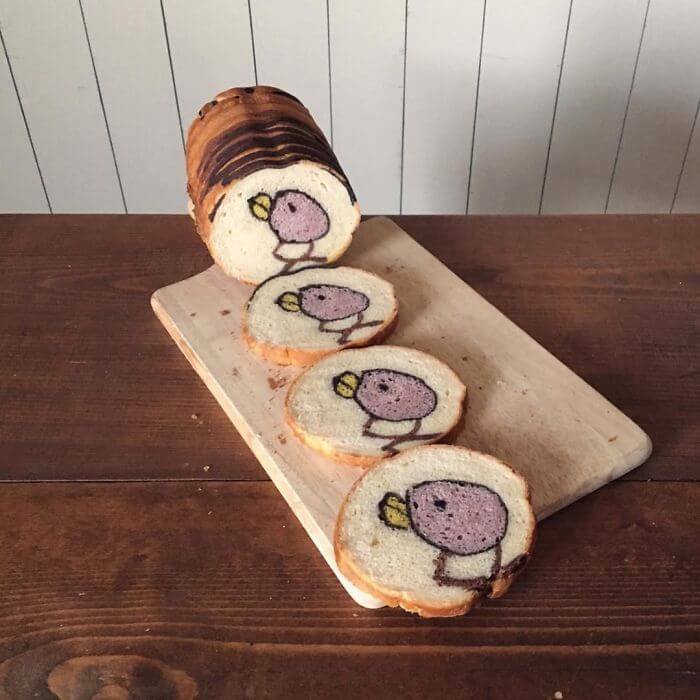 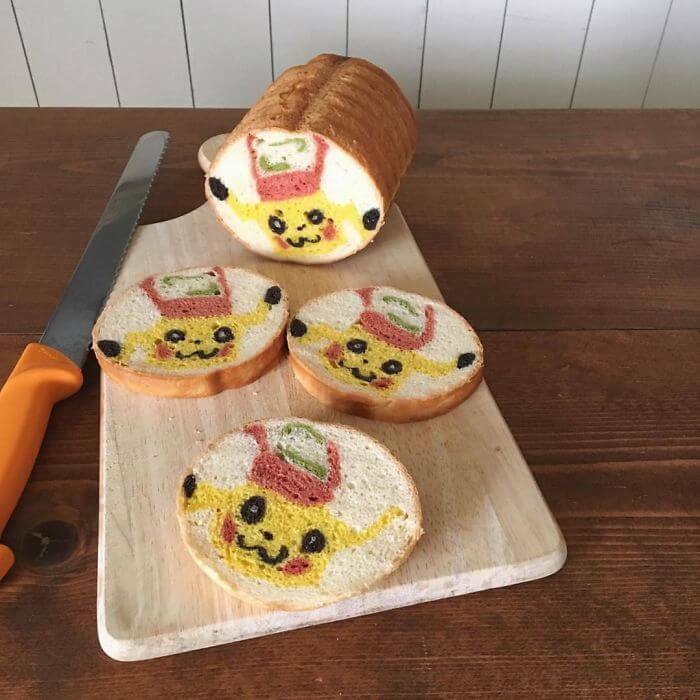 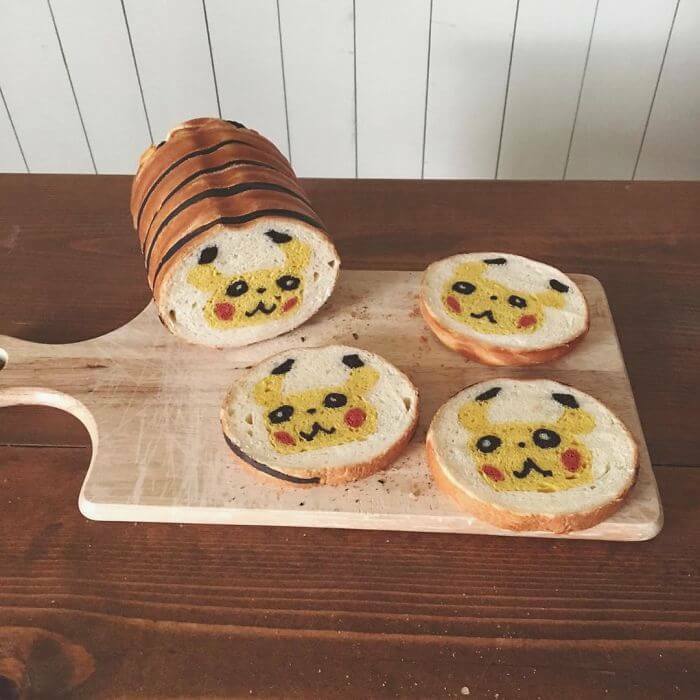 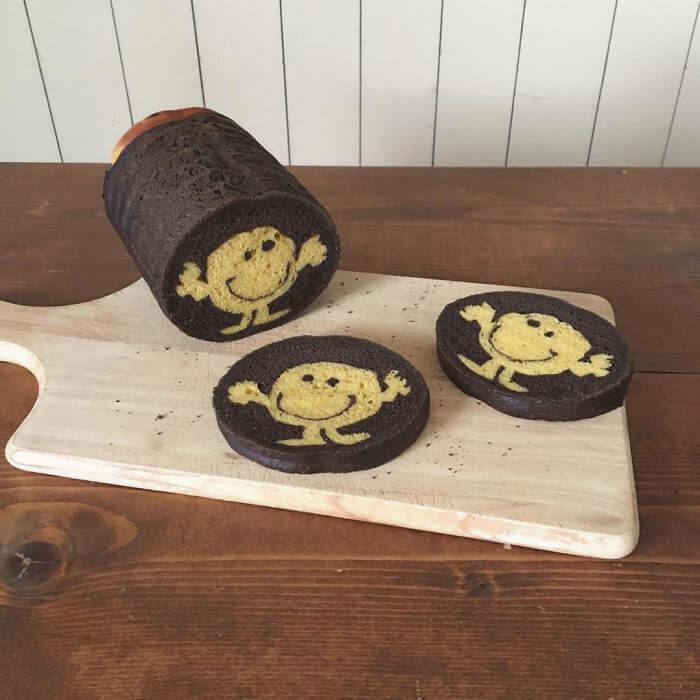 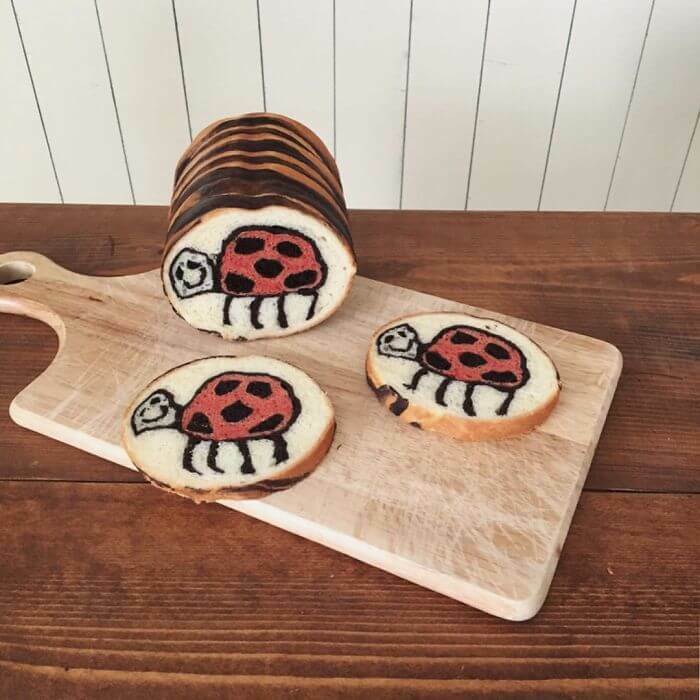 Looking at these charming bread makes you think how she manages to get such lovely images spreading through the whole length of a loaf. 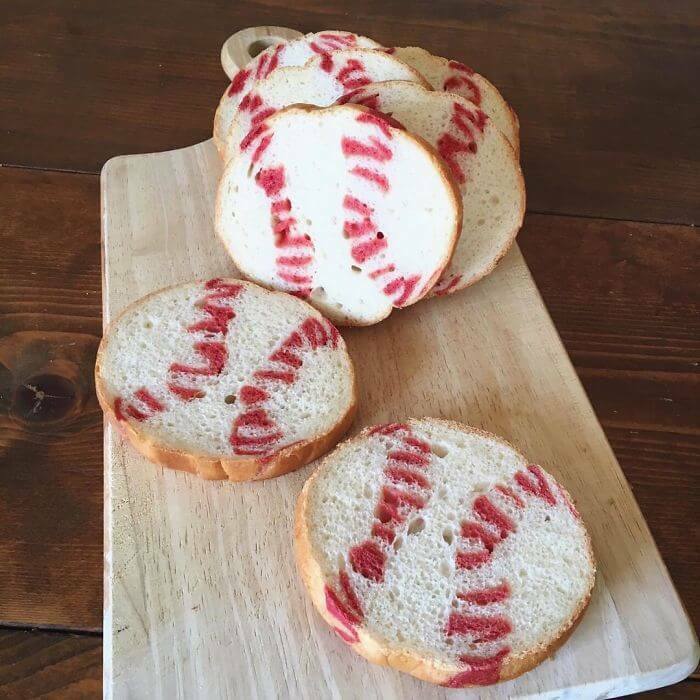 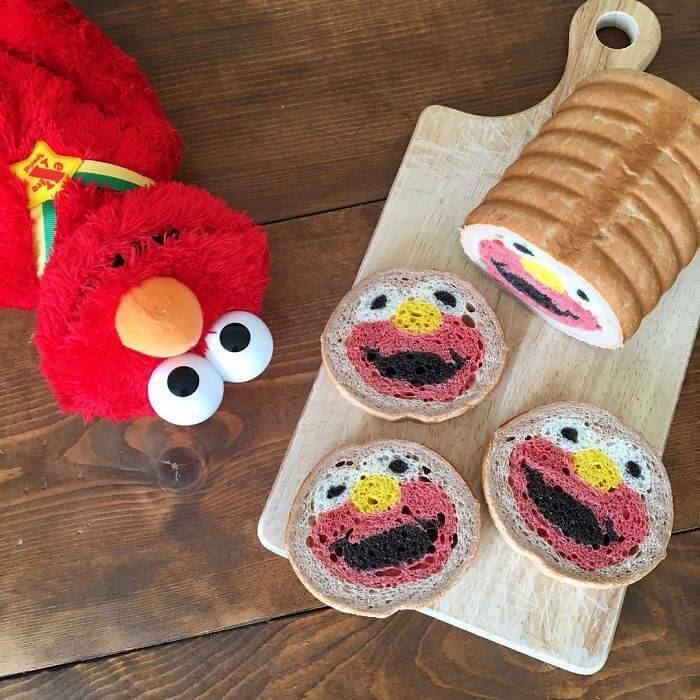 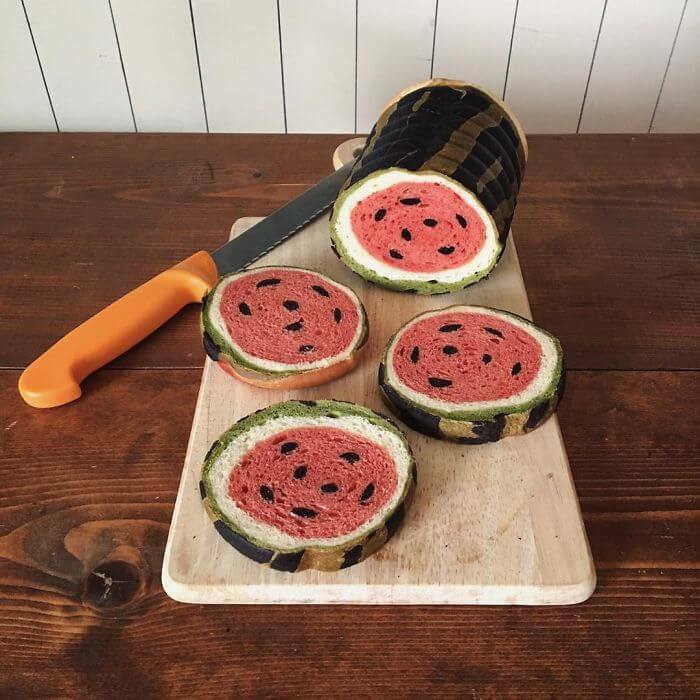 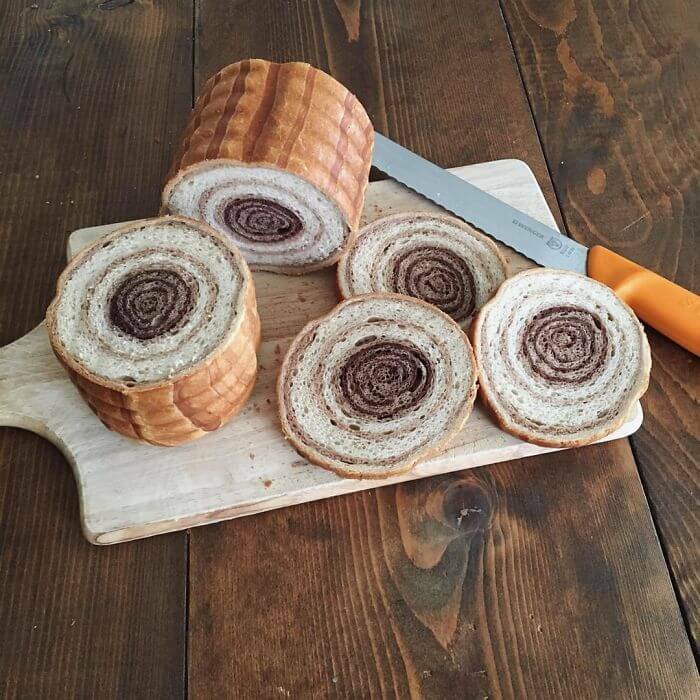 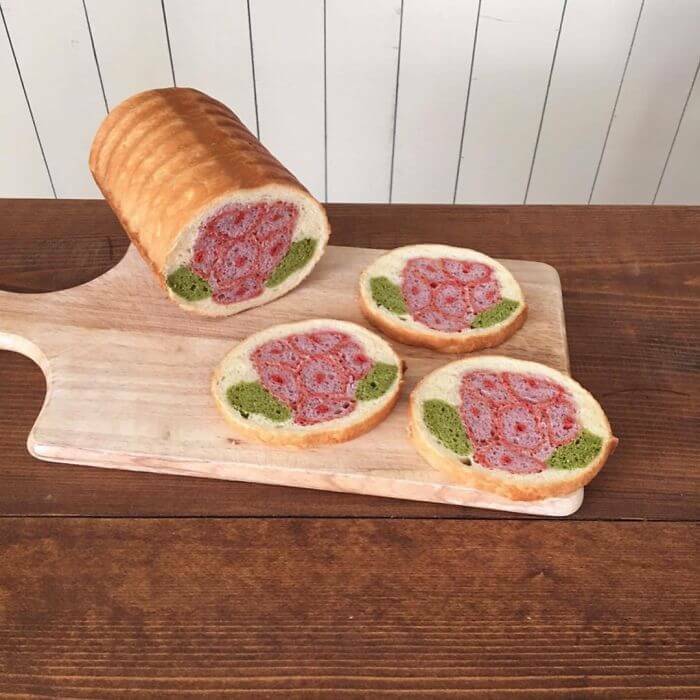 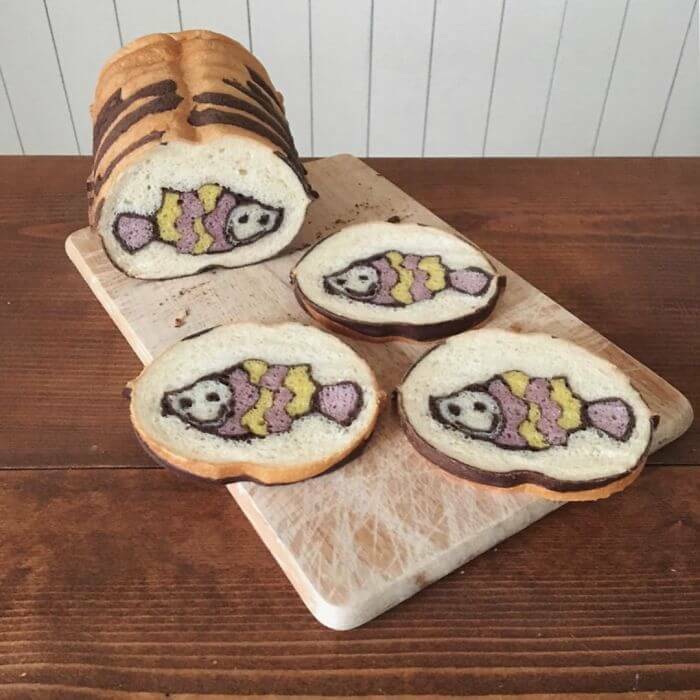 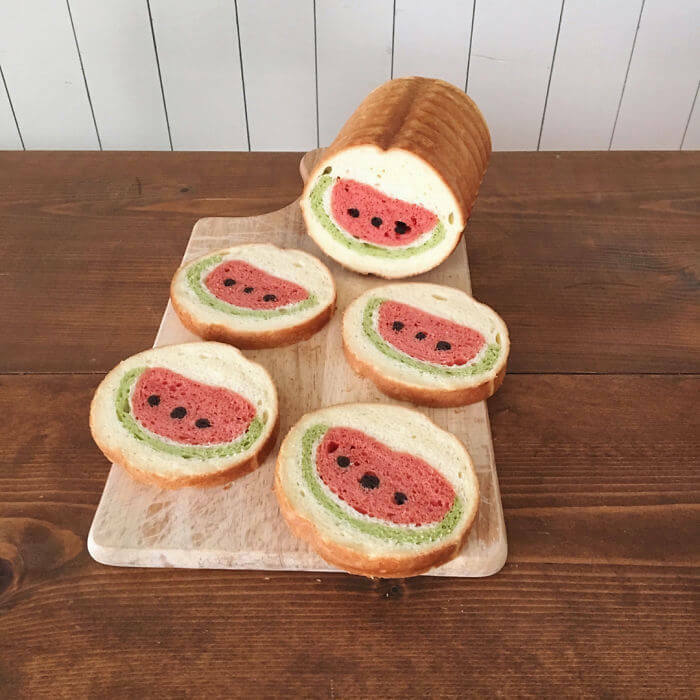 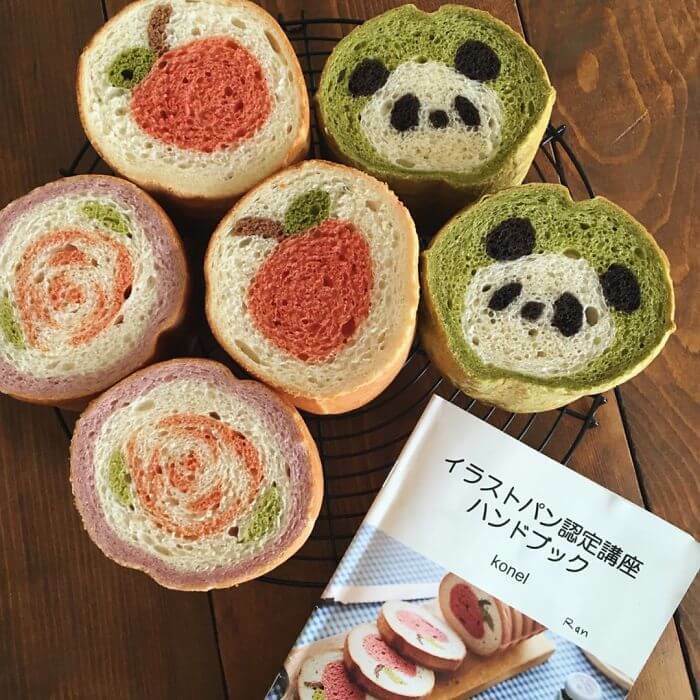 I’m not sure, but it seems it’s something like rolling deco-sushi – long pieces of colored dough are carefully positioned and then rolled into a round loaf. 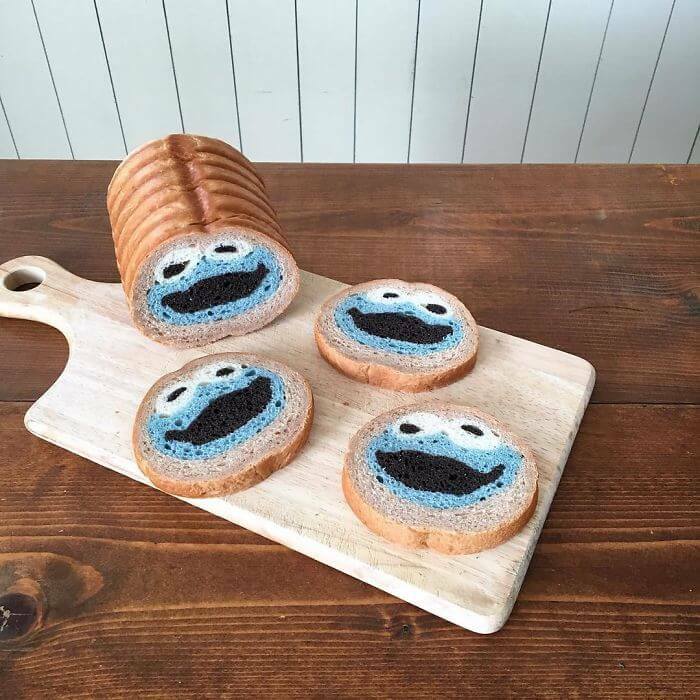 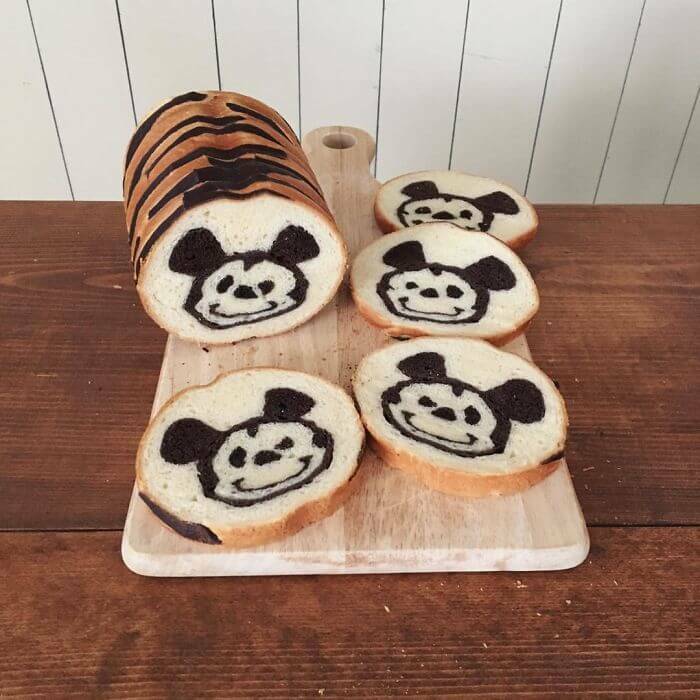 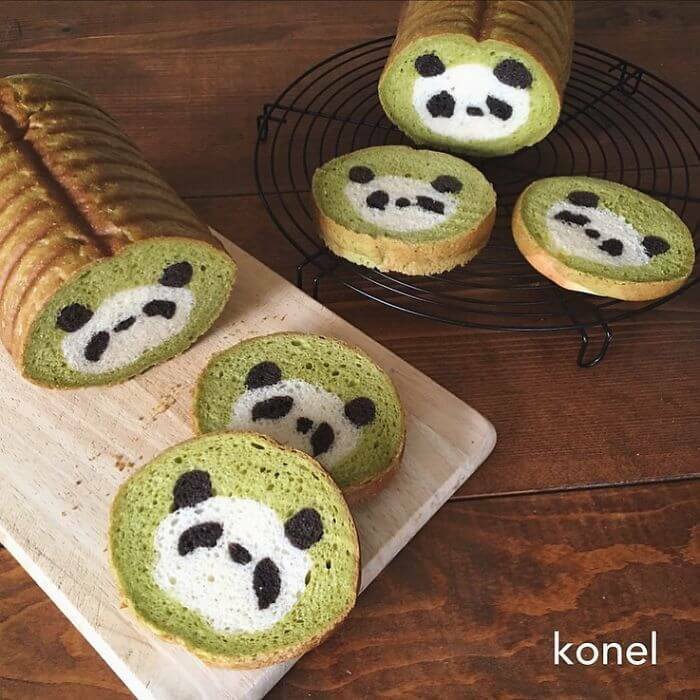 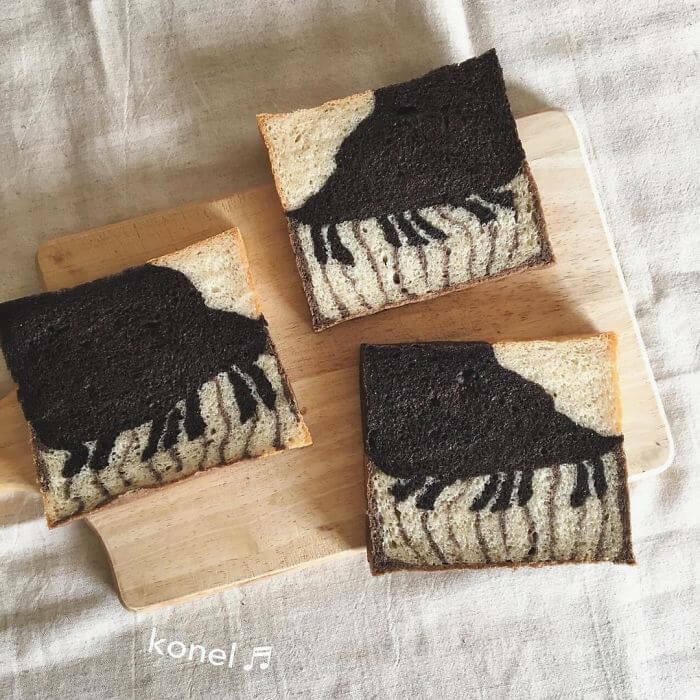 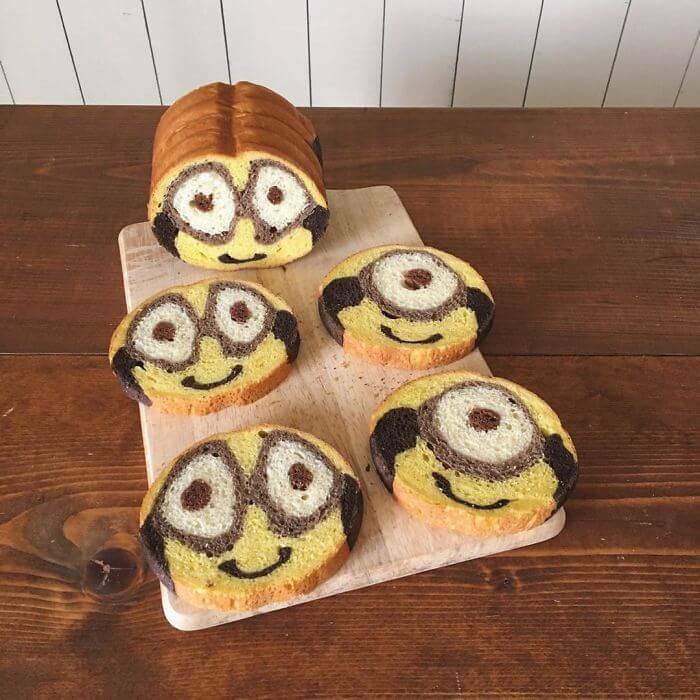 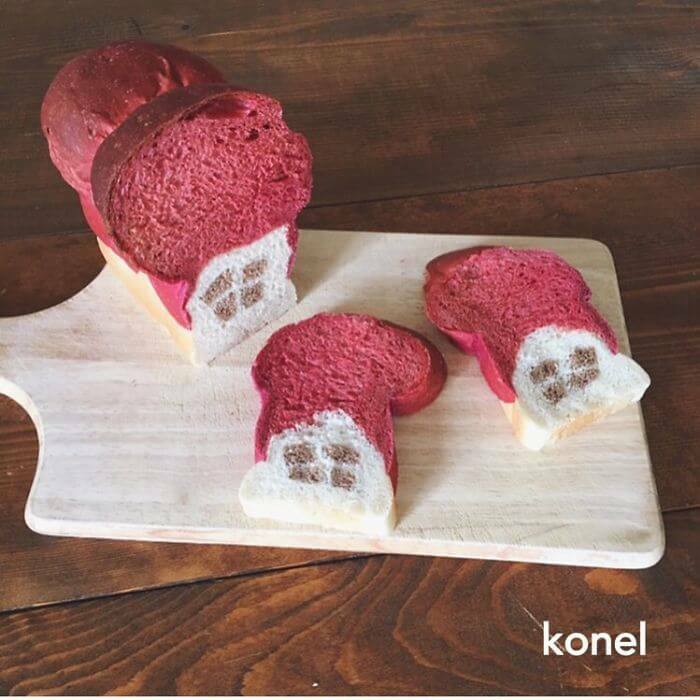 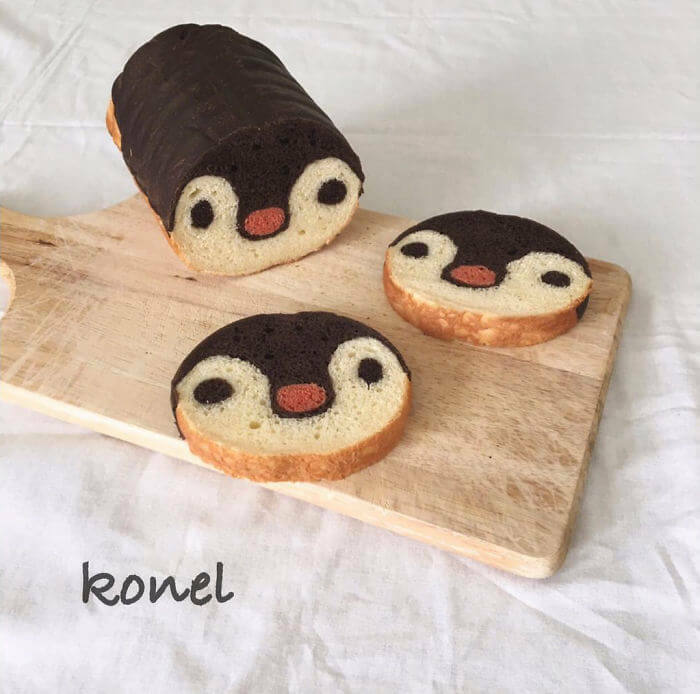 Scroll down the gallery and enjoy the slices of fun and creative bakery by Konel Bread, at least with your eyes. 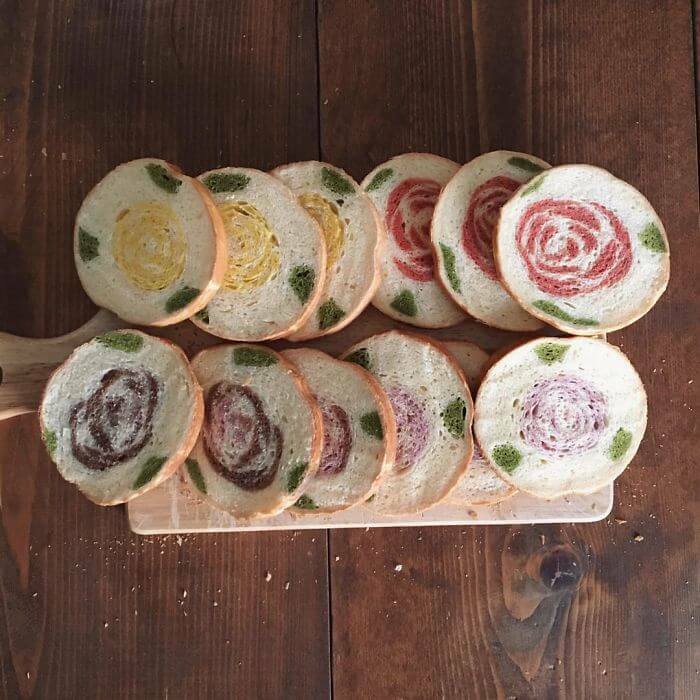 Don’t forget to pick your favorite slice of the bread masterpiece and share with us your choice in the comment section! 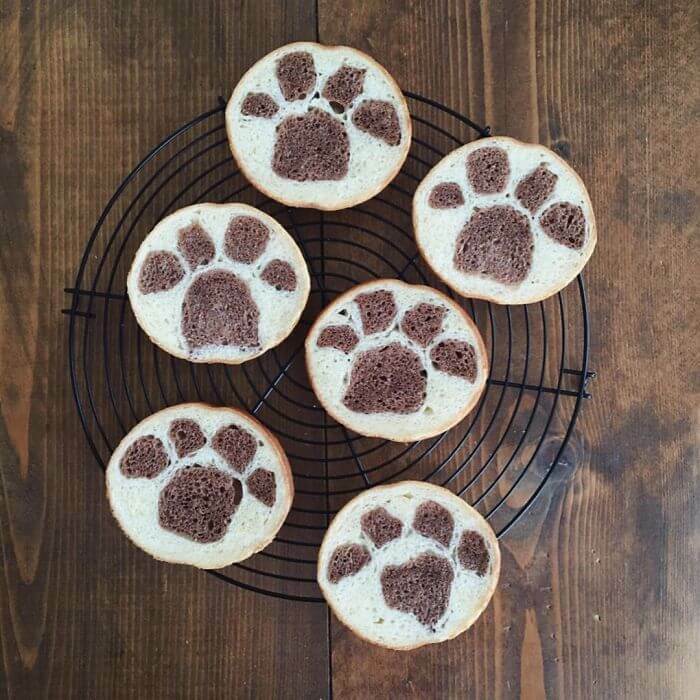 ← Previous Story This is Misereor Social Swipe or How to Donate 2 Euros in a Clever And Interactive Way!